Information collected on this site may include personal information including your name, contact information, IP address, product selection, and other things that identify you when you visit the website or correspond with me. 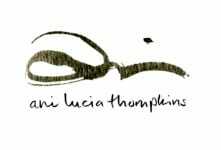 Your personal information may be used to deliver orders, provide customer support, find out where you spend time on my site, and communicate with you as needed about orders, interests, new work on the site, and the like. Your information may be shared with third parties including fulfillment center (Bay Photo), payment processor (Stripe), hosting service (Go Daddy), and email service (Mailchimp). We expect these other entities will honor this Privacy Statement. In the unlikely event that law enforcement, government officials, or other third parties pursuant to a subpoena, court order, or other legal process or requirement applicable to our Company requires your information I will provide it. Other instances when I might provide your personal information would be to prevent physical harm or financial loss, to report suspected illegal activity, or to investigate violations of my agreements or Company policies. Any information you include in a comment on my blog may be read, collected, and used by anyone. If your personal information appears on my blog and you want it removed, contact me or click the “unsubscribe” link found at the bottom of every email from me. This website includes social media features which may collect information about your IP address and which page you are visiting on my website, and they may set a cookie to make sure the feature functions properly. Social media features and widgets are either hosted by a third party or hosted directly on my website. I also maintain presences on social media platforms including Facebook, Twitter, and Instagram. Any information, communications, or materials you submit to me via a social media platform is done at your own risk without any expectation of privacy. I can't control the actions of other users of these platforms or the actions of the platforms themselves. 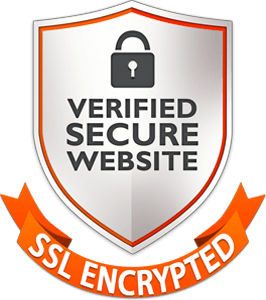 This site has security measures in place to help protect information from the risk of accidental or unlawful destruction or accidental loss, alteration or unauthorized disclosure or access. However, “perfect security” does not exist on the Internet. If I link here to another website, I'm not responsible for that site's security practices or content. Cookies are text files placed in your computer’s browser to store your preferences. Cookies, by themselves, do not tell me your e-mail address or other personally identifiable information unless you choose to provide information to me by signing up for email or creating an account. Your information may be used to understand site usage and improve the site. It might also be used to make offers to you (discounts, services, etc.). I will retain any personal information only for as long as is necessary to fulfill the business purpose for which it was collected. If you do not want to receive communication from me in the future, please let me know by using the website Contact form to send an e-mail. If you supply me with your postal address online you will only receive the information for which you provided me your address. European Union or Swiss individuals may refer to the Privacy Shield statement with regard to the transfer of their personal data. I have appropriate security measures in place in my physical facility to protect against the loss, misuse or alteration of information that I have collected from you at this website. The GDPR applies to the merchants and partners who operate in the EU/EEA (European Union/European Economic Area) or Switzerland and offer goods or services to residents of the EU/EEA or Switzerland. While affiliate Art Storefronts is performing action to be compliant with GDPR, and to provide its merchants with tools to help its merchants comply, each merchant is ultimately responsible for ensuring that their business complies with the laws of the jurisdictions in which they operate or have buyers. 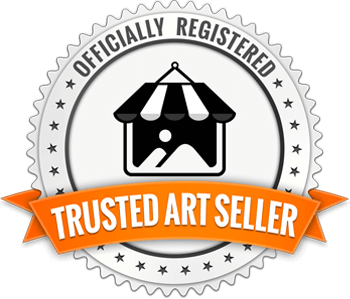 Using Art Storefronts does not guarantee that a merchant or partner complies with GDPR. The GDPR also gives certain rights to identified or identifiable persons (referred to as data subjects), including Art Storefronts merchants. These include the right to request at no cost deletion of personal data, correction of their data, access to their data, and export of their data in a portable format. I may amend this Privacy Statement at any time by posting a new version (this is very unlikely). It is your responsibility to review this Privacy Statement periodically as your continued use of this website represents your agreement with the then-current Privacy Statement. If you have any questions about this Privacy Statement, the practices or concerns of this site, or feel that the site is not following its said policy, please contact me.